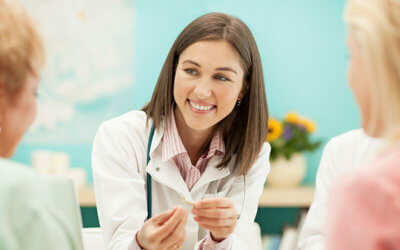 Do you think you have the skills to become a good homeopath? According to the Oxford dictionary, Empathy means ‘the ability to understand and share the feelings of another’, as opposed to sympathy which means ‘feelings of pity and sorrow for someone else’s misfortune’. There has been much research in the area of empathy, with debates around whether empathy can be learned or taught. Research seems to show that empathy is both an innate ability as well as something which can be encouraged and learned. Some researchers have said that empathy is something which happens to a person, and is experienced, rather than something which is done. However behaviours such as self-awareness, non-judgement, listening skills and self-confidence can be developed to encourage the experience of empathy. Listening to patients is a key skill homeopaths must have. Homeopaths need to be good at asking the right questions, and then listen closely to the answers. Patients are asked to describe their symptoms in detail, and these answers are crucial for the homeopath to prescribe the right remedy. In addition, it can be of immense value to a patient to feel they have been truly listened to. In order to gain this knowledge, the homeopath has to have a keen interest in learning all the intricacies of the homeopathic system. CHE students receive this grounding through lectures with experienced homeopaths and lecturers, and they are empowered to continually grow their knowledge through self-study. Assessments help students become accustomed to confidently find, analyse and utilise all the information they find. This is a key part of CHE homeopathic training. Students learn about the systems of the human body and pathologies which may occur. This is an important part of creating an understanding of the complexity of patients’ cases. In addition, CHE offers a unique research module which helps students evaluate and explain scientific research. People who are new to homeopathy are often under the misconception that there is no research on homeopathy. This is not the case – as a visit to the Homeopathy Research Institute website will tell you. 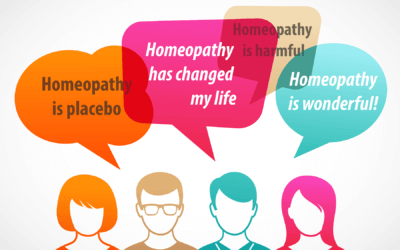 Homeopathy takes a very different approach from conventional medicine, and so it is necessary for homeopaths to become accustomed to ideas which they have not considered before. Find out a little more in this blog post about what homeopathy is and how it works. Most homeopaths find that once they start learning about homeopathy, it becomes a fascinating life-long learning process. Homeopathy is often referred to as both a science and an art, so perhaps homeopaths are artists too! Interested in learning more about homeopathy? Check out our beginners’ courses and full practitioner qualifications. We also hold regular open days if you’d like to visit the college and get a feel for how we work. © 2018 Centre for Homeopathic Education. All Rights Reserved.